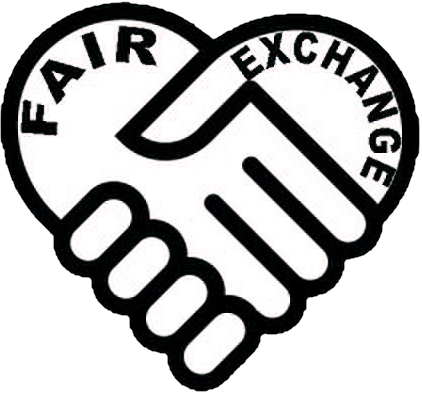 The Fair Exchange: Sign up for The Fair Exchange weekly evening Sewing Group Thursdays, 7 -9pm LS26. Have fun and create starting with the up cycling project. Sign up for The Fair Exchange weekly evening Sewing Group Thursdays, 7 -9pm LS26. Have fun and create starting with the up cycling project. Sign up for weekly evening Sewing Group Thursdays, 7 -9pm, new venue ask for details.